Suitable for beginners seeking guidance throughout the process of painting with watercolours. This title features a series of colour charts, which depict the paint combinations needed to obtain desired colours, intensities, and values. This book is ideal for beginners seeking close guidance throughout the, often tricky, process of painting with watercolours. Mary Baumgartner has successfully taught watercolour classes for 20 years and helps her students achieve success with considered step-by-step instructions and constant encouragement. This fantastic title is borne out of those classes and features a gorgeous series of colour charts, which helpfully depict the paint combinations needed to obtain desired colours, intensities, and values. Mary Baumgartner is an artist and teacher. 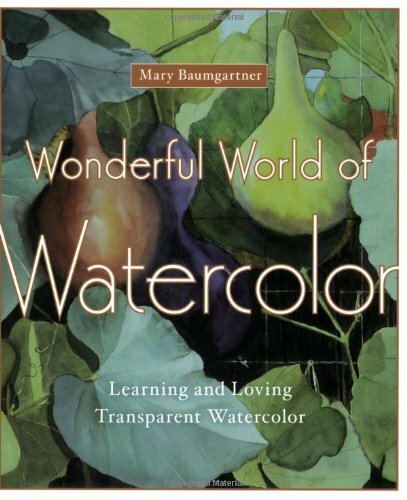 Her course by the same name as this book has helped countless students create stunning watercolours.